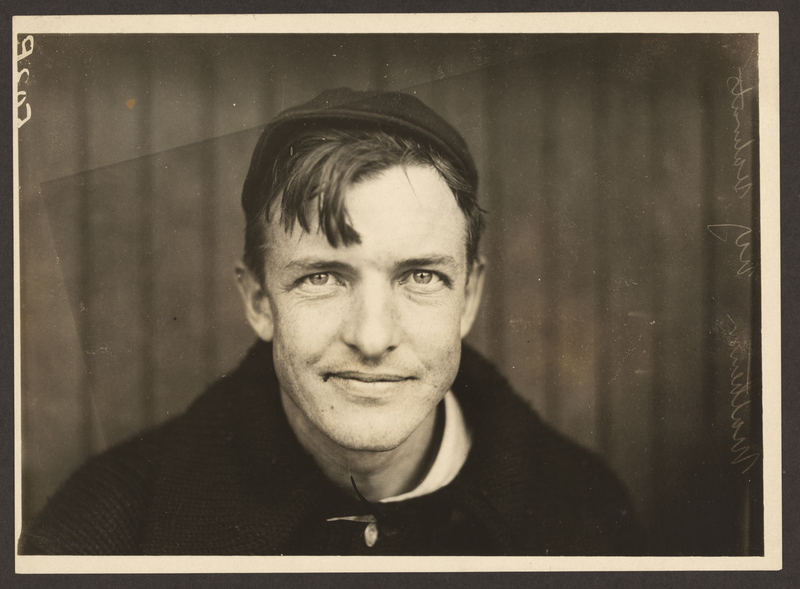 Yesterday I wrote about my famous baseball player cousin, Christy Mathewson. Today it’s his son’s turn. 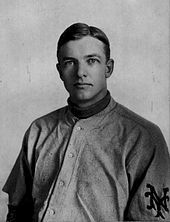 Christy Jr. (my 3rd cousin 3x removed) wasn’t a baseball player like his dad; unfortunately, one thing they did share in common was death at a far too young age. 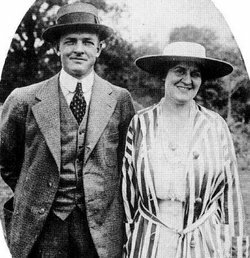 I mentioned yesterday that Christy Sr. died in 1925 after a long fight with tuberculosis (contracted during World War I after he was accidentally gassed during a chemical exercise). He was only 45. There used to be another, more detailed news story archived online somewhere about Christy Jr.’s life, and the 1950 accident that killed him. Unfortunately, I can’t find said news story (it’s possible I first saw it in the now defunct Google News Archives). If my memory serves correctly, however, Christy was repairing something (a furnace?) in his home, which somehow triggered the explosion. I’m also fairly certain that I read he was still alive when they pulled him out of his house. I don’t even know what to say about that, other than I have a fear-bordering-on-phobia of being burned (to the point where I can barely use a stovetop). To think of being burned over almost one’s entire body — and surviving for even a fraction of a second afterward — is unfathomable. 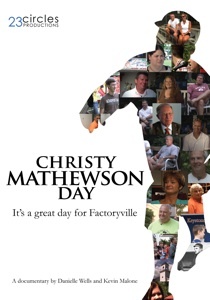 It seems especially unfair after considering what Christy Jr. had already overcome in his 43 years (the death of his father; the plane accident that killed his wife in front of him, almost killed him, and took his left leg). That said, until the explosion, it appears that Christy Jr. was perpetually ahead of the game in defying some very intense odds. He might not have been a baseball hero like his dad — but he was certainly a hero in his own right. I’m honored to be related to both Mathewsons! I wish I knew more about Christy Jr. There’s very little about him available right now. If I ever find that news story (mentioned a few paragraphs ago) again, I’ll transcribe it — or at least link to it — here. 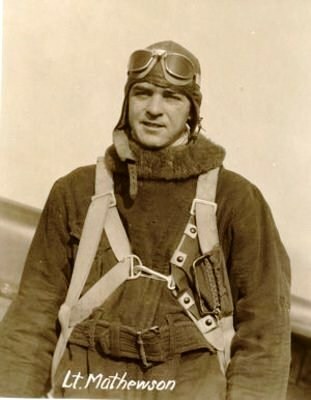 I remember that it didn’t just focus on his tragedies, but shared many interesting bits about his experiences in the Air Force and as a pilot. 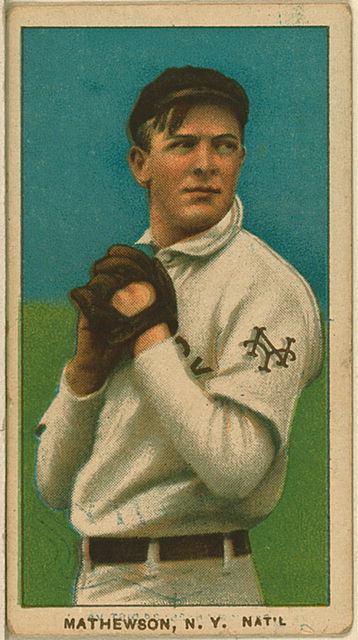 Meanwhile, here’s a 1914 article about Christy Sr. (courtesy of Rain Delay Central). This one mentions Christy Jr., too (apparently he was called “Sonny” and had a pup called “Polo Grounds”; I love learning little tidbits like that!). 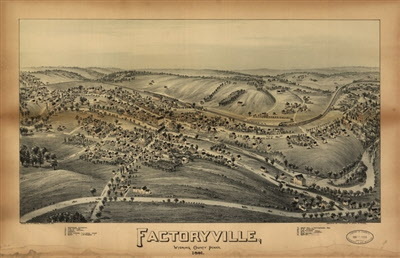 It even references our mutual ancestors and the founding of Factoryville, and — best of all — is built around an interview with Christy Sr.’s mother, my 1st cousin 5x removed, Minerva Capwell Mathewson (or “Nervy”, as it says she was called). I hope you enjoy reading it as much as I did!